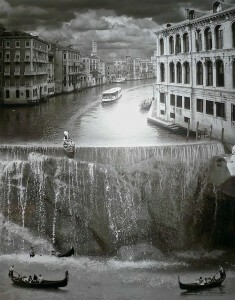 See the picture, “Crash Course in Italian” by Thomas Barbey, to the right? It very much reminds me of the retirement planning that I do. It hangs in my office. See the gondolas floating down the canal. Looks peaceful doesn’t it? – as long as you don’t look ahead to the waterfall up ahead. But on the downside of the waterfall, the boats are upright and everyone seems to have remained in the boat. How does this remind me of financial planning? 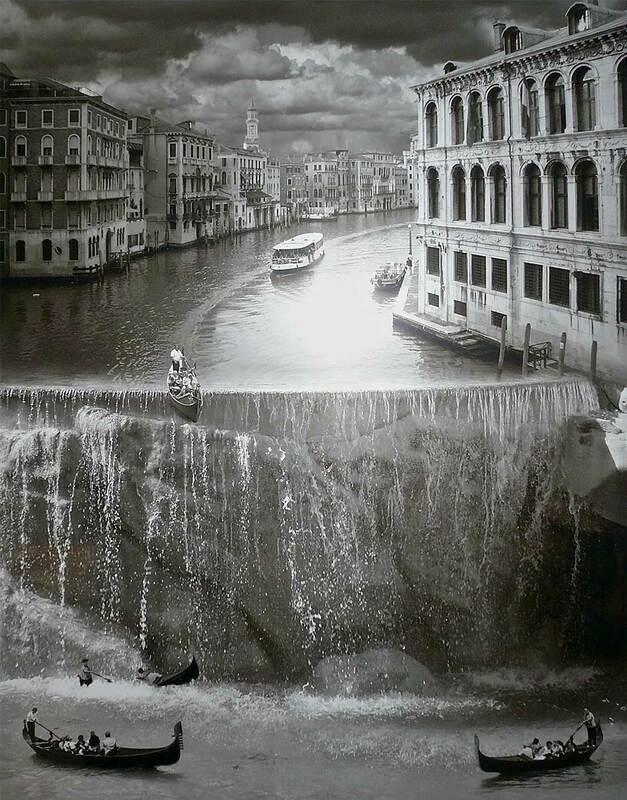 Well, I think a lot of people would prefer to not think about retirement, enjoying the scenery as they float through the grand canal of their life. (Sure, some people indicate that they will never really retire, that sounds like denial to me. While I understand the desire and motivation for second careers, but I still think each of us should plan on being unable to work at some point in the future.) I think retirement is like going over a waterfall. It’s much better to be prepared and have your weight in the right spot in the boat. I suggest a retirement plan that maps your financial future before you get there. You can’t prevent yourself from going over the waterfall, just as you may not be able to control how long you are able to work. Some of my clients find they have sufficiently funded their retirements and are “on track.” Other clients find that they will need to make changes in current or future spending. Often the later group of clients suspects before they show up at my office that changes might be required. They have some ideas about what to change, but maybe they want to confirm that the changes will put them on the right track. Or maybe the two partners in a couple are not in agreement about the best path to take. That’s how I help. I develop projections that confirm the adequacy of their retirement plans and savings and demonstrate the financial impact of their different financial choices. Retirement Planning – An analysis to project the growth of your assets and income to determine if you are on track for your retirement goals and recommendations on how to get “on track” if you are not. Assistance with Plan Implementation – Often, clients need additional assistance once the plan is delivered in setting up investment accounts or making changes or clarifications to recommendations. If you make a timely effort to implement the recommendations, and you require help, I will be available at no additional cost for the first six months after the plan is delivered. Most likely we can work over the phone or via email, but if an in-person appointment is needed, there will not be a charge. I offer a complimentary 30-45 minute meeting to discuss your personal needs and how I might best be of service. Please provide your contact information to schedule your appointment today.